A thousand pairs of new shoes were distributed amongst children in the MJF Kids Programme recently. The MJF Charitable Foundation worked with Unity Brands Group, LLC., Dilmah’s Global Partner in the United States and Soles4Souls Inc. to spearhead this project. As part of its first phase, a majority of the shoes were distributed in projects carried out by the Foundation in Point Pedro in Sri Lanka’s northern peninsula. Shoes were also distributed in Moneragala in south eastern Sri Lanka amongst students attending the Subhagya School for the Hearing and Visual Impaired and in Siyambalanduwa, the shoes were happily received by deserving youth attending the Diriya Centre, a vocational training centre established with support from Dilmah Partner Gourmet Foods of Poland. In Dilmah’s tea gardens, shoes were distributed amongst children attending several plantation schools. Soles4Souls is a US based charity that collects new shoes for distribution amongst people who need footwear and as a micro-enterprise effort to eradicate poverty. According to them an estimated 1.5 billion people around the world do not have access to adequate footwear, and of them 300 million are children. Soles4Souls have distributed an estimated 13 million pairs of shoes collected from donors ranging from million dollar footwear companies to individuals from across the United States. The shoes were distributed in Point Pedro for children in the MJF Kids Programme in May 2013 during a ceremony held at the Anjali Aham, the MJF Charitable Foundation’s local partner in Jaffna. The Foundation works with several local partners to implement a range of projects islandwide which benefit nearly one hundred thousand underprivileged people each year. 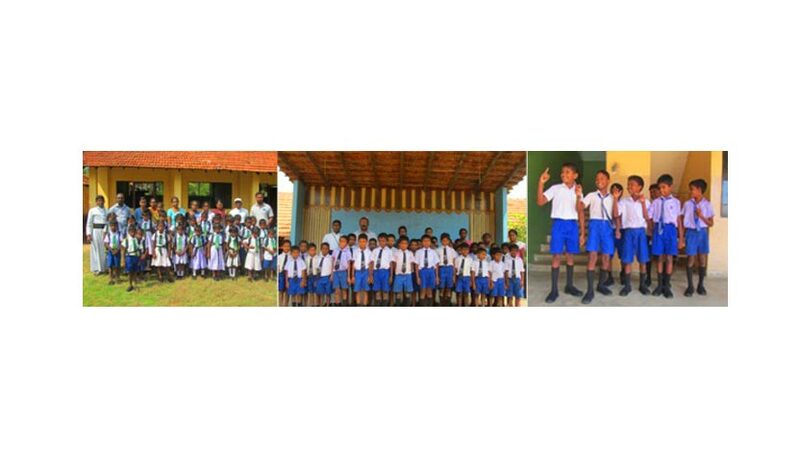 The ‘MJF Kids’ are the pride and joy of the Dilmah Founder and following its success in Peliyagoda and Maligawatta initiated in 2006, the programme has now been replicated in the Founder’s hometown of Pallansena, in Siyambalanduwa in the Monaragala District – one of the least developed areas in country, in Moratuwa in the Colombo District and in Point Pedro in the Northern Province to help children marginalised as a result of the now concluded war. As a result of the MJF Kids Programme, over 1,000 children from marginalised backgrounds are afforded a chance to overcome the poverty and depravity of their surroundings.